There’s something about floating around in the crystal clear springs of Mataranka that says “stay another night – its too beautiful to leave” but as tempting as it was, we were up bright n early Monday morning. 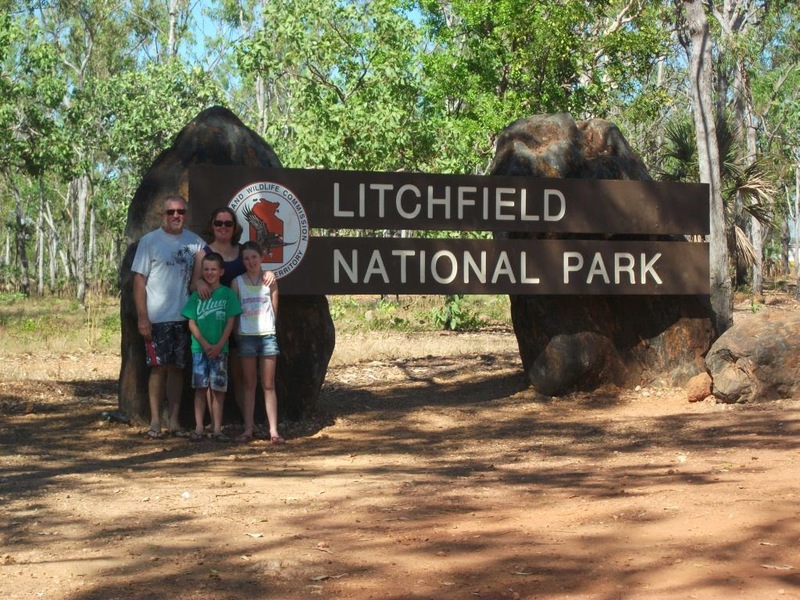 We only had some 300km to travel up to Litchfield National Park but it took us all day. We stopped at Cutta Cutta caves with the thought we might be able to do a bit of exploring but as it turned out these were tour guide caves so we quickly moved on to Katherine, which turned out to be the busiest place this side of the equator. I took us well over an hour to grab a few things from Woolies….. By mid-afternoon we’d made our way out to the remote Douglas Hot Springs hoping for a similar taste of what we’d left behind at Mataranka, but we were sorely disappointed. The kids ended up having a swim and we paddled our feet but the detour wasn’t worth it. We eventually, with the sun getting low in the sky, arrived at Litchfield Park where we quickly set up before enjoying happy hour and a swim. 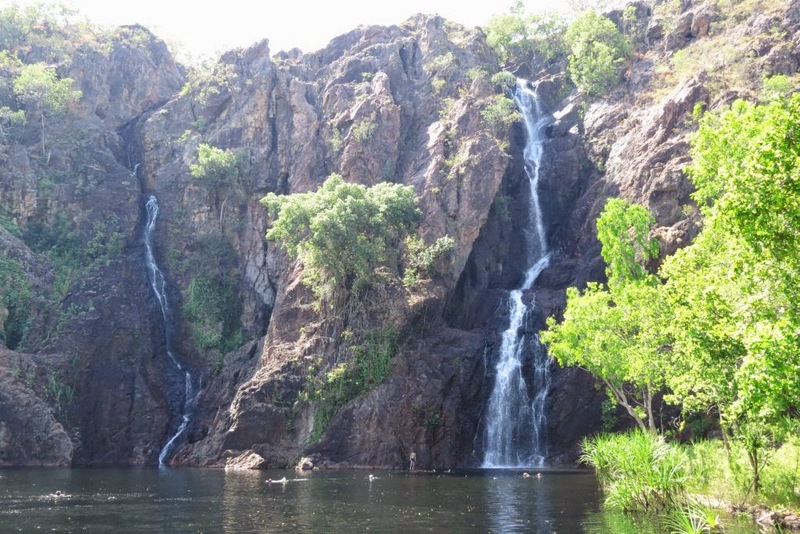 Tuesday was our first full day in the National Park and we headed straight to Wangi Falls where with much trepidation and the fact plenty of others were already in the water, we swam out to the waterfall knowing that freshwater crocodiles live in the same pool of water. Swimming under the falls was amazing and worth the experience. We visited the old Blyth Homestead which was built in 1928. 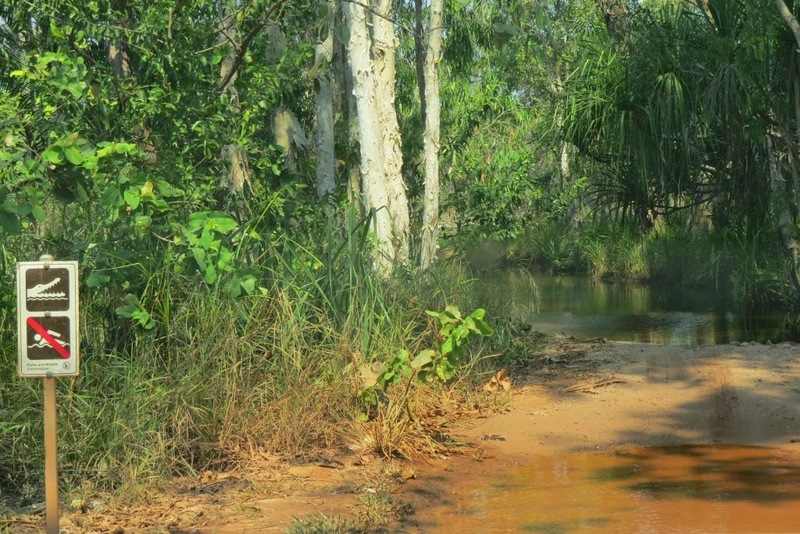 Getting to the homestead was half the adventure as on 2 occasions we had to drive through watercourses where it was clearly signposted “no swimming - crocs here”. The larger water crossing was easily 80m wide and poor Sam was climbing off the seat with fear. We finished off our day at the Buley Rockholes which is a series of cascading waterfalls and plunge pools. We made sure all of us, including Leonie jumped into at least one rock pool and sat under the turbulent “spa” waters as they cascaded downstream. Needless to say with all our swimming the kids were nearly falling asleep at the dinner table. Wednesday was a double take of Tuesday, we started the day with a swim at the van park before heading back into the National Park where we saw some more of the amazing places Litchfield has to offer. 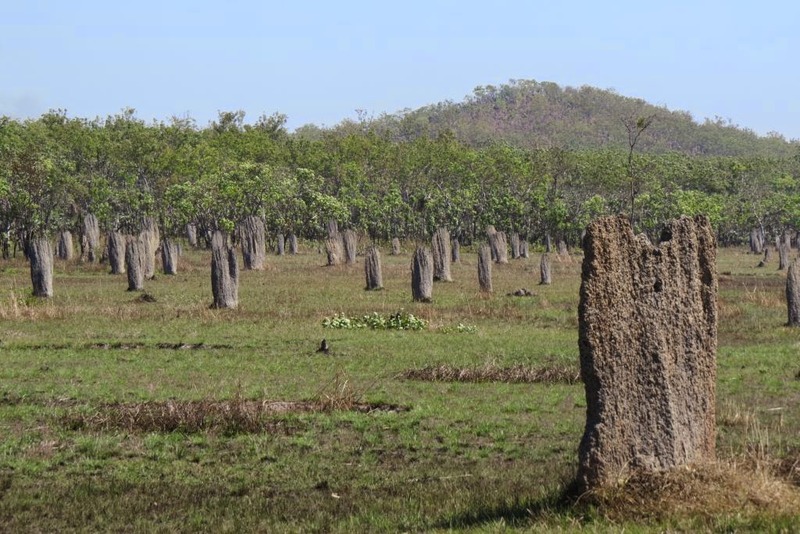 We stopped at the Magnetic Termite Mounds which amazingly only point north-south. 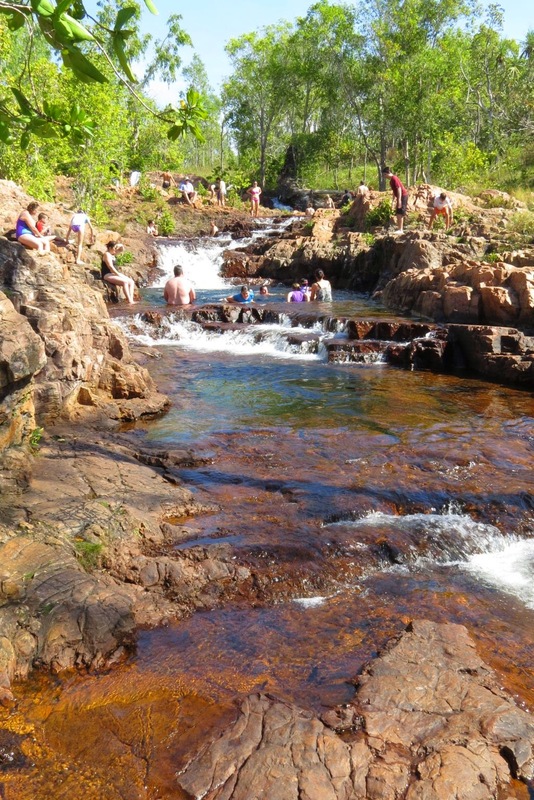 We visited the impressive Tolmer and Florence Falls but with the Buley Rockholes being such a success with the kids they were keen to head back there for another swim, so after a beautiful picnic along the Florence Creek we headed to the rockholes where we spent a few hours swimming and relaxing. Once back at the caravan the kids dragged us to the pool again (I’m sure they’re water babies) for one last swim before we had dinner and a relaxing night. Sadly we once again had to leave another beautiful spot, but with the prospect of 10 days in Darwin we packed up early on Thursday for the 100km drive into Darwin. The first thing that strikes you about Darwin is the WWII history and how much of it still remains. As southerners we are so naive to the impact war had on Australia. 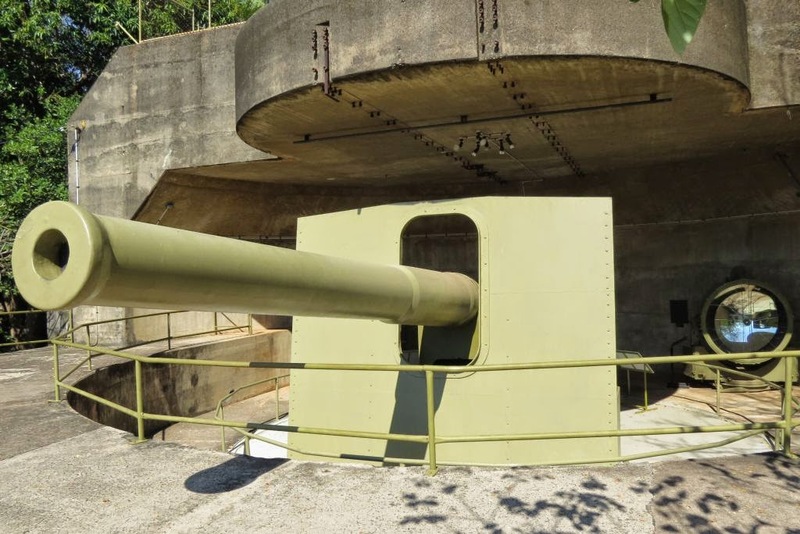 Every few kilometres there’s another sign depicting a piece of war history and on more than 2 occasions we were driving down old WWII runways that is now a busy highway…. Once we were setup, we spent the rest of the day doing domestics around the van and getting accustom to the change in pace that we hadn’t seen since leaving home. Our first full day in Darwin started slowly, even at the slow pace of a tourist, “you’ve gotta have a rest some time”. By late morning we were heading into town to check out some of the sights. The girls quickly found the retail therapy area and boom there went a few hours of our day. After security ushered the girls from the shops because they were drooling at the sight of department stores and coffee shops we headed off to see more of Darwin. Leonie and I both commented on our perception of Crocodiles in the top end. We were surprised to see people walking the mud flats of low tide or even some people who stood in the water fishing. Obviously the crocodiles pick n choose who they eat…. By late afternoon it was my turn for a bit of my own therapy as we attended a geocaching event. We met a few of the local geocachers where we shared a few laughs. As the sun was setting we headed around to the Stokes Hill wharf where we watched a beautiful sunset. Saturday seen us doing a few odd jobs around the van, we finally took the blankets off the beds cause we’d be overheating most nights, there was more washing to do and much to the kids disgust and complaints as it was Saturday, we made them do some school work. We also got to visit the Darwin RAAF base which had an open day. A joint multi country exercise has been running in the skies over Darwin for the past few weeks and it was the RAAF’s way of saying thank you to the public, and whilst it was too hot to be standing out in the sun we did get to see more fighter planes in the one spot than I’ve ever seen. To complete our day of speed we went to Hidden Valley Raceway where we gave ourselves a self-guided tour of the facilities before being politely told to leave…… if only the V8’s were in town. Our sixth week on the road concluded with a lovely day sightseeing around Darwin. We visited the “Defence of Darwin Experience” (museum) where we learned so much about the bombing of Darwin in WWII. This was certainly a moving experience and one we all enjoyed. 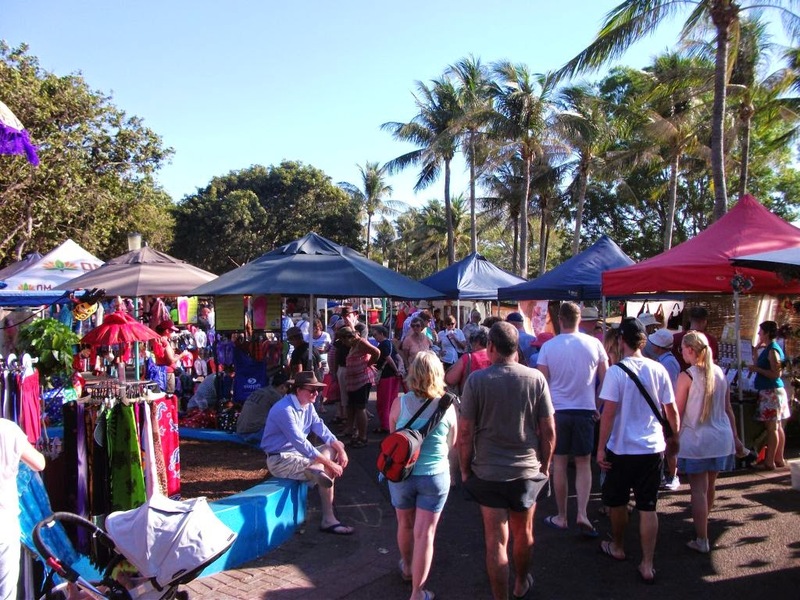 We stopped at Lake Alexander and Fannie Bay before ending our day at the famous Mindil Beach Markets where each Thursday and Sunday a section of Darwin foreshore comes alive with an array of cultural cuisine and a variety of arts n crafts. The markets have a real party vibe and many of the visitors flock down onto the beach to watch the beautiful sunset over the ocean. We spent our time at the markets catching up with an old Wollongong SES friend (Karla) who now calls Darwin her home. Once again we’ve been blessed with more beautiful weather. Sorry to rub it in to those back home but temps have been in the low 30’s every day and this is still winter.